Over the summer we were sent the best package ever from Bandai. If you’re a Power Rangers fan like my boys, then you’d have been squealing with joy like my three. Even Hero, who had no idea what on earth was going on, was getting in on the action and opening the huge box that arrived. 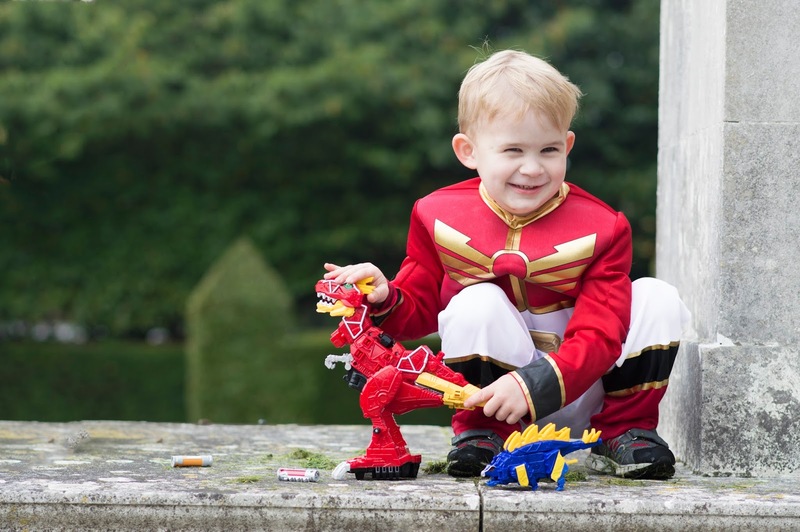 The newest Power Rangers series, Power Rangers Dino Charge, began airing on POP at the end of August – and our boys were gripped. There’s nothing like martial arts and enemies in combat to capture my boys’ attention. The story behind the new series is that the Energems [metal tipped crystals that channel the powers of the universe] were given to ten dinosaurs for safe keeping by an alien. When asteroids hit the earth, wiping out the dinosaurs, the Energems were lost again. The Power Rangers form a team to seek out the Energems and save the world, using the energy of the dinosaur spirits to charge up swords, blasters, Zords…and Megazords! Not that I’m excited about it or anything. The contents of the box made my boys’ heads spin. 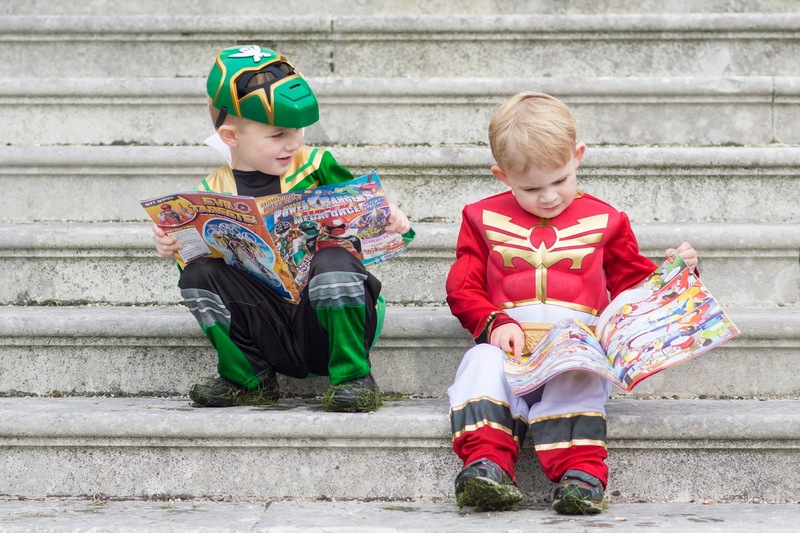 Inside were Power Ranger magazines [which the boys had never seen before and which lasted for quite a few bedtime stories with Daddy], a green Dino Charge Power Ranger [Jensen’s favourite] and the best Power Ranger they had ever set eyes on, The Power Rangers Dino Charge Deluxe Megazord. Naturally I was hopeless at morphing the Megazord but soon the boys put me right. 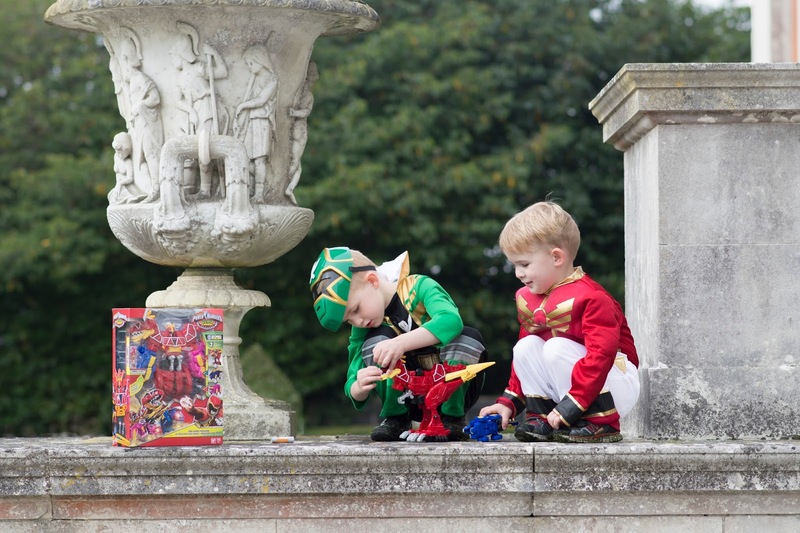 The only trouble was that they loved the Megazord so much that we had to go and buy another one so they could be friends and fight villains together. 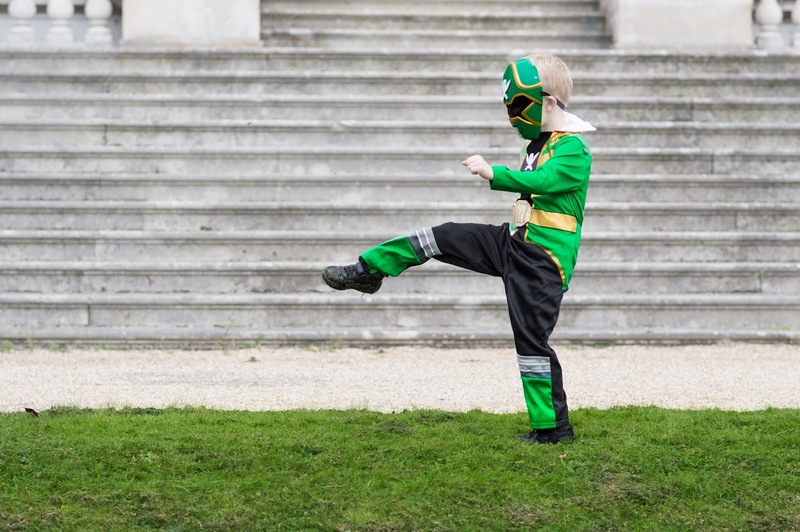 You see, apparently the Jones boys are also Power Rangers themselves and decided to take to the mean streets of IBM’s manicured grounds and engage in combat, Dino Charge style. The Dino Charge series also has an accompanying app which the boys loved using on their iPads – they spent quite a bit of time waiting for their dinner to be ready, photographing me and daddy and transforming us into Power Rangers. After dinner, they all sat with daddy whilst they used the app with the little Dino Charger capsules. 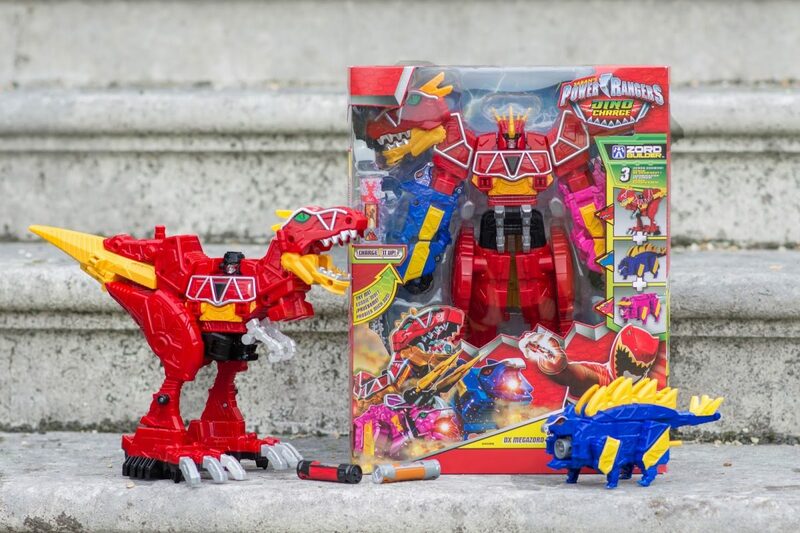 The Dino Charge range is pretty extensive and very affordable – there are action figures, role play toys such as the Morpher, and the amazing Megazord. I love ranges that are designed with every budget in mind – and which can be built up over time. 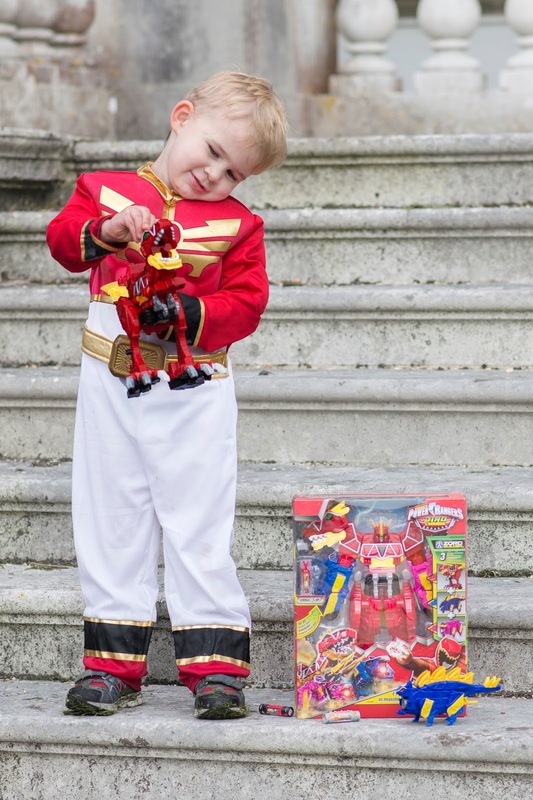 Jensen already invested in a new Dino Charge pack to add to his collection, with his pocket money from Granny and Grandad. I may or may not have persuaded him to get the orange crocodilian looking one. I was already a huge fan of the Power Rangers having watched quite a few episodes on TV but we’d never had any toys in the house before. I’m so impressed with the quality of the toys, and the thought which has gone into creating them. 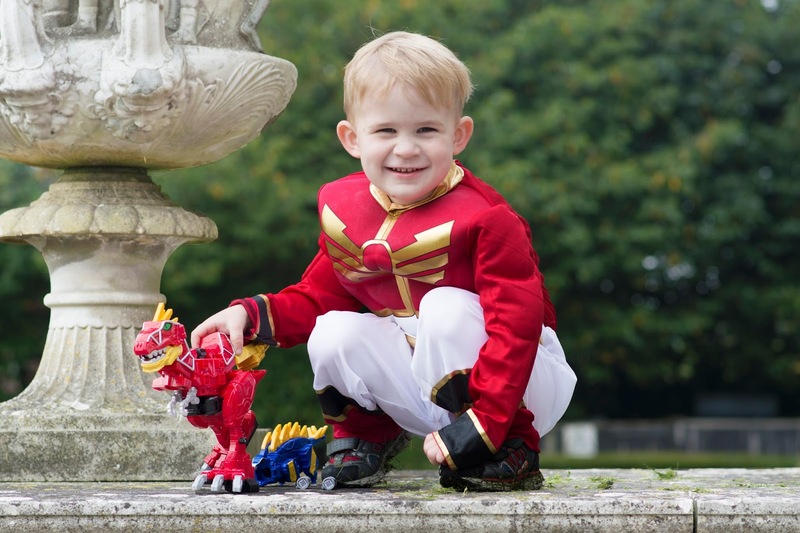 The Megazord isn’t just another huge plastic figure. It’s built solidly with joints that aren’t going to snap anytime soon, which is brilliant because toys with removable parts need to be pretty durable in little hands. It also needs to be very easy to assemble for me personally because you can be sure I’ll be asked to help change him from dinosaur and back at least five times a day. I also love the app, which promotes conversation between the boys and makes the novelty value of the toy last longer than an action figure alone. Would I buy it? I already did, along with more Dino Chargers! I think Father Christmas might have his eye on Morphers for the boys too. You can keep up to date with news on Bandai’s Facebook page or Twitter for upcoming releases and new products here – and they’ll be at Comic Con this year if you’re going – head over and say hello! I Can imagine the squeals of delight! My grandboys love Power Rangers, too, and they would love this new series. How cool that it has an app, too. This would be a great Christmas gift. Your kids are so cute. 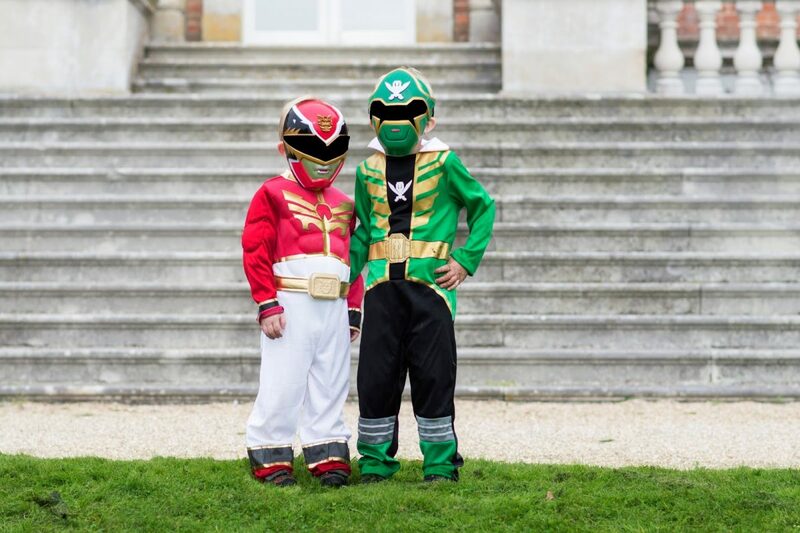 They make the cutest Power Rangers that I ever seen. My son is older now but he loved them too! This looks like such a cool toy. My girls are not necessarily into Power Rangers, but it would still be fun for them! And it's great the app can extend the play even further! What adorable pics. Your boys are so cute and they look like they're having a great time with that toy! My boys are big power ranger fans too. Those outfits are just perfect! I remember sometimes watching Power Rangers when I was little, I always loved the pink one! Those are seriously the most adorable pictures ever! My son loves the Power Rangers too- especially the Red one of course. I can't keep all the different series straight….. I remember watching Power Rangers when I was a little girl! Crazy right! My kids now watch Power rangers. Funny how things are still around. Looks like your kids had a blast with the toys! Oh my goodness!! What a cool costume and your boys are sooo adorable! I remember watching this when I was younger and my boys actually love them now too. They are adorable! My son loves power rangers I had no idea they came out with new dino toys for them. I'm a fan of the power rangers. They also have a really nice toys and costume lines that kids would love. My boys grew up loving Power Rangers! I'm surprised to see how technology has been incorporated into the line of toys. 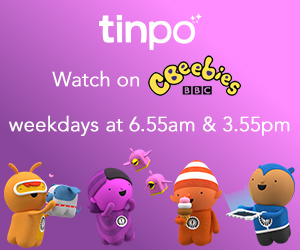 Looks like a win win for parents and kids! My little guy would be ecstatic to have one of these! It is so fun how little boys are so rough and want to be heroes! I love the toys but I'm too busy swooning over the pictures!